Thermal barrier coatings (TBCs) are used to shield the blades of gas turbines from heat and wear. There is a pressing need to evaluate the thermal conductivity of TBCs in the thermal design of advanced gas turbines with high energy efficiency. These TBCs consist of a ceramic-based top coat and a bond coat on a superalloy substrate. Usually, the focus is on the thermal conductivity in the thickness direction of the TBC because heat tends to diffuse from the surface of the top coat to the substrate. However, the in-plane thermal conductivity is also important in the thermal design of gas turbines because the temperature distribution within the turbine cannot be ignored. Accordingly, a method is developed in this study for measuring the in-plane thermal diffusivity of the top coat. Yttria-stabilized zirconia top coats are prepared by thermal spraying under different conditions. The in-plane and cross-plane thermal diffusivities of the top coats are measured by the flash method to investigate the anisotropy of thermal conduction in a TBC. It is found that the in-plane thermal diffusivity is higher than the cross-plane one for each top coat and that the top coats have significantly anisotropic thermal diffusivity. The cross-sectional and in-plane microstructures of the top coats are observed, from which their porosities are evaluated. The thermal diffusivity and its anisotropy are discussed in detail in relation to microstructure and porosity. 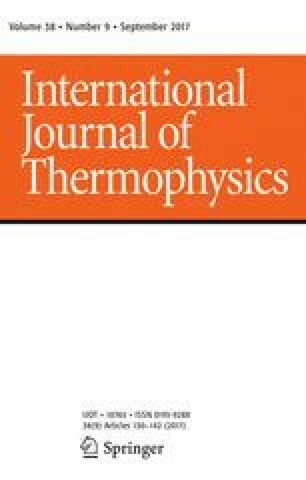 Selected paper from Asian Thermophysical Properties Conference. This study was supported financially by the Ministry of Economy, Trade and Industry (METI) of Japan. Part of this work was supported by JSPS KAKENHI Grant Number 15K06490. The authors thank Mr. Yoshihiro Kobayashi, who has graduated the master’s course at the Tokyo Metropolitan University graduate school for his contribution in analyzing the TC cross sections.